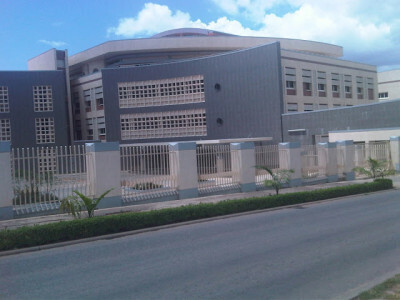 There was mild drama on Tuesday at the National Judicial Institute, NJI, Abuja, venue of the ongoing National Conference, when a delegate, Sidi Ali, said the biggest private hospital being built in Abuja is owned by a former Governor of Rivers State. Delegates continued their deliberations on the report of the Committee on Devolution of Power and what took the attention of most delegates in their contribution was the issue of increasing the derivation allocation from the present 13 per cent. In his contribution earlier in the day, a delegate representing the Civil Society, Nasiru Kura, stated that he was not against an increase in the derivation principle, but that whatever additional money the oil producing states get would eventually go into serving the leaders of the area to the detriment of the people in the communities ravaged by oil exploration. He said what most governors do is to purchase private jets and gallivant around. To buttress Mr. Kura’s position, Mr. Ali during his presentation said, “As I am talking now, the biggest hospital owned by a private person in Abuja is being built by a former governor of Rivers State”. He also recalled how jailed former Governor of Delta State, James Ibori, offered former Chairman of the Economic and Financial Crimes Commission, EFCC, Nuhu Ribadu, a bribe of $15 million to stave off investigation into his affairs. As soon as Mr. Ali made his allegation, a former Governor of Rivers State, Peter Odili, who is also a delegate at the Conference, kept shouting ‘Point of Order’. When the Chairman of the Conference eventually allowed Mr. Odili to speak, he denied owning a hospital in Abuja. “There are many former governors of Rivers State here, but I happen to be the only medical doctor among them,” he said. “Let me say before this Honourable House and before almighty God that Dr. Peter Odili have nothing to do with this so called big hospital in Abuja which has been paraded and touted by Hon. Sidi Ali. Mr. Kutigi, however, intervened to say that there was no need for Mr. Odili to be defensive since Mr. Ali did not mention the name of the former governor he was talking about. The hospital being referred to by Mr. Ali is called Reliance Hospital which is still yet to be commissioned and is said to be one of the best private Hospitals in Abuja. It is located at Area 11, behind the Nipost Headquarters, in Garki District of Abuja. Mr. Odili, who governed Rivers State for eight years, secured a controversial, perpetual injunction from a court that has prevented the EFCC from prosecuting him for corruption. Who attempted to snuff life out of this teenager?